The greatest people in history have been failures. Certainly, we remember these individuals as successes--success stories--and we treat those stories as legends and those individuals as gods. But each of them failed epically and repeatedly, more so than the combined successes of all of humanity. Failure should not be overlooked in anyone, especially not those we admire. It is through failure that these individuals were able to learn, grow and ultimately succeed. We know this about ourselves but even as we learn to accept our own failures, sometimes we don’t recognize that the most successful people in the world have had an abundance of failure. Our heroes need to be held to the same standard as the ancient Greek gods: awesome but not infallible. Failure is a humbling exercise, both for the observer and the observed. But learning is a humbling process. Once we realize that our heroes are just like us, we can examine how failure drives success. So I’ve started collecting stories about the failures of successful people, as a reminder that if you’re making mistakes and learning from them, you’re actually on the path to success. Lady Gaga has captured the world’s attention like few other artists. Her flamboyant style and ultra-catchy brand of pop has earned her millions of loyal fans and helped her become one of the best-selling artists in recent history in terms of both record sales and tour revenue. In addition, she’s been honored with five Grammy awards and has been named Billboard magazine’s Artist of the Year as well as one of Forbes’ 100 most powerful women and Time magazine’s most influential people. No bestselling artist is born that way. Every rock star has a tale of struggle, rejection, and almost giving up before his or her big break; those stories are captivating and inspiring. Lady Gaga’s story is especially interesting because she wasn’t even Lady Gaga. During her journey, she shed her old style, her old insecurities, and even her old name in order to become the tour de force that is Lady Gaga. Lady Gaga was born Stefani Germanotta in 1986 in Manhattan. She was a quiet, studious girl who did well in school and showed significant musical talent. She played piano by age 4 and was writing her own songs by her teenage years. She participated in school theater productions and gained early admission to NYU’s musical theater conservatory at age 17, but dropped out to focus on her music career at age 19. Her father agreed to support her with the caveat that if she didn’t have a recording deal within a year, she would quit the music business and go back to school. Her first band, the Stefani Germanotta Band, played the New York club scene and developed a small following but was disbanded in less than a year. Her time with the Stefani Germanotta band wasn’t a waste though: not only did Germanotta gain valuable experience, but she attracted the attention of manager and producer Rob Fusari who took her on. He brought her to major labels looking for either an artist deal or a publishing deal, but could find neither. The more constructive label reps told Germanotta she didn’t have the right look and that none of the songs she had written were hits. The less helpful ones didn’t pay attention to her at all. Germanotta’s meeting at Sony Records went so poorly that she left the studio in a tearful rage, yelling at Fusari in the parking lot. During that time, a failed autocorrect text message caused Germanotta to receive a text message from Fusari calling her “Lady Gaga.” Germanotta took to it immediately and demanded that Fusari never call her Stefani again. And then in late 2006, the newly minted Lady Gaga performed a mini set with a piano in front a few executives from Island Def Jam records. The head of the label, Antonio Reid offered to sign her immediately in an $850,000 deal, a staggering amount for a new artist. 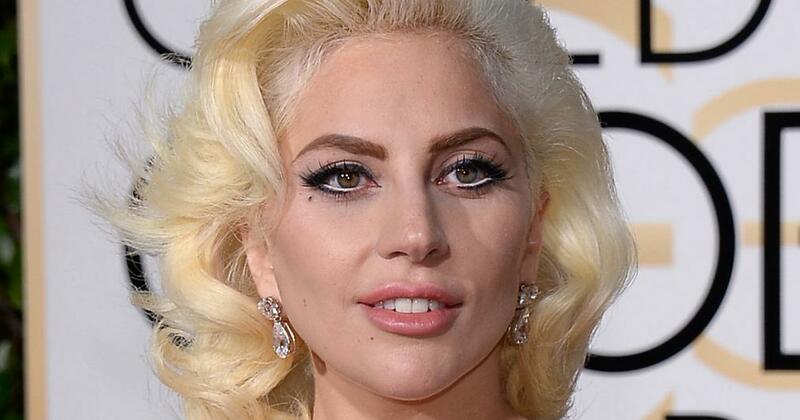 The ecstatic Gaga went to work on an album scheduled for release in nine months. But three months later, the label inexplicably dropped her. Gaga recalls hearing the news as the worst day of her life. She thought of her agreement with her dad but knew she wasn’t ready to give up the music business. She turned to drinking and drugs to get her through the pain and disappointment. Rob Fusari helped Gaga land a publishing deal with Interscope records. They liked her singing and songwriting and wanted her to write songs for other artists on the label, but they didn’t like her image, telling her she wasn’t pretty enough to simply play songs at a piano. But Gaga wanted to perform. She became a fixture on the underground New York music scene and experimented with burlesque shows and other eclectic acts. Sometimes dancing and singing in little more than a thong, she pushed the limits of performance art and, through trial and error, found what worked and what didn’t. When she played the smallest stage at 2007’s Lollapalooza she had long black hair and a style that could only be described as Goth-stripper. After being repeatedly mistaken for Amy Winehouse, she died her hair platinum blonde. Shortly thereafter, fellow Interscope artist Akon heard one of her songs, decided to take her under his wing, and insisted that label head Jimmy Iovine pay attention to her. Then she wrote the song “Just Dance” and Iovine loved it. He loved the song, he loved her new style, and felt she was finally marketable. In 2008, Interscope released Lady Gaga’s debut album, The Fame, and the first single “Just Dance” became a huge hit. She was catapulted to superstardom and her subsequent albums, The Fame Monster (2009) and Born This Way (2011), were equally successful. And while some criticize Lady Gaga as a mask of Stefani Germanotta, it can be argued that our masks are no less real than any other part of us. Germanotta’s branding wasn’t simply optical, it was all-encompassing. We all have different aspects to our personality; most of us would be described differently by a colleague than by our spouse or our child. We sometimes think of alter egos as something bad, but it’s not the case. Too often, we assume we can’t do something instead of asking the question of who can. Physically, we cannot become someone else, but our mental capacity to adapt is unmatched. If we truly believe that we are someone else, we can alter our personalities, swallow our pride and failures, and become a better person as a result.